A Pendle Hill Conference for inspiration, education, networking, discernment, and action. May 3-6, 2018. On-site check-in begins at 4:00pm, dinner at 6:00pm, opening worship and plenary begins at 7:15pm on Thursday, May 3. The program concludes with the noon meal on Sunday, May 6. Tentative program schedule to be posted soon. As Friends, we rarely talk about our continuing benefit from this history or about our roles as invasive peoples on what the Original Peoples of this land called Turtle Island. We invite Quakers from throughout Canada and the United States to gather at Pendle Hill to meet together with Indigenous people, to hear truth spoken plainly, to listen deeply with open hearts and minds, and to seek together ways of acknowledging ongoing and intergenerational injuries, owning responsibility, and repairing injustice as Spirit guides us. Come to be inspired, to become better equipped to involve Meetings and local communities in building right relationship, and to be renewed in Spirit and energy for this long-term justice journey. Click here to view the purpose and vision statement. Click here to view the tentative schedule. 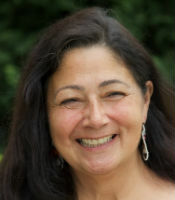 Denise Altvater serves as coordinator of the American Friends Service Committee’s (AFSC) Wabanaki Youth Program in Maine. She has created a supportive web of connection and communication in a region where Native communities have been isolated and abused. Countless native youth have benefitted from her tireless commitment, and nonjudgmental support and love. With her leadership, the AFSC’s Wabanki Program was instrumental in developing the first Truth and Reconciliation commission between a sovereign tribal nation and a state of the United States. Denise has bravely shared her story, which has increased understanding of the journey from trauma to healing to best support those impacted by the TRC process. 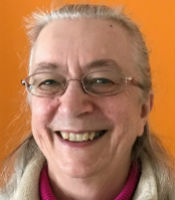 Denise has been engaged in anti-racism work for decades, and she has more recently focused on offering decolonization workshops for faith communities. 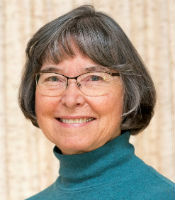 Elaine Bishop is the Mentoring Clerk of Canadian Yearly Meeting. For four years in the 1980s, Elaine lived with and worked for the Lubicon Cree Nation supporting the Lubicon’s land rights and justice struggles. Before her retirement, she worked as the director of the community-based North Point Douglas Women’s Centre. Using a strengths-based and empowerment philosophy, the Centre supports women in addressing a variety of issues engaging urban Indigenous peoples, including poverty, MMIWG (Missing and Murdered Indigenous Women and Girls), child welfare issues, and domestic abuse. Elaine currently lives in Winnipeg, Manitoba, Canada on Treaty 1 territory, homelands of Cree, Anishinaabe and Manitoba Metis Nations. Working with a small group of Settler and Indigenous peoples she is involved in starting Share the Gifts-Honour the Treaties, an organization addressing reparations as a contribution to reconciliation. Mark Charles is a dynamic and thought-provoking public speaker, writer, and consultant. 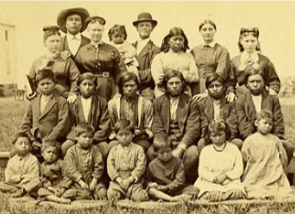 The son of an American woman (of Dutch heritage) and a Navajo man, he speaks with insight into the complexities of American history regarding race, culture, and faith in order to help forge a path of healing and conciliation for the nation. Mark serves as the Washington, DC correspondent and regular columnist for Native News Online and is the author of the popular blog “Reflections from the Hogan.” He served on the board of the Christian Community Development Association (CCDA) and is a former Board of Trustee member of the Christian Reformed Church of North America (CRCNA). Mark also consults with the Calvin Institute of Christian Worship (CICW), has served as the pastor of the Christian Indian Center in Denver CO and is a founding partner of a national conference for Native students called “Would Jesus Eat Frybread?” (CRU, IVCF and CICW). Dennis J. Coker has been honored to be elected Principal Chief of the Lenape Indian Tribe of Delaware since 1996. 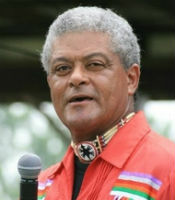 During his term, successful collaborations with the Delaware State Historic Preservation Office and the Federal Census Bureau led to his Tribe being awarded a Census Designation Area allowing Tribal members to include their ethnicity as Lenape on the 2010 Census for the first time in history. On August 3, 2016, Delaware’s Governor, Jack Markell, signed legislation officially recognizing the long and continued history of the Lenape Community in the state of Delaware. Chief Coker’s service as a past Chairman of the Confederation of Sovereign Nanticoke-Lenape Tribes of the Delaware Bay has allowed him to effect progress towards recognition of the Indigenous human rights of all member Tribes. His membership in the National Congress of the American Indian (NCIA) and founding membership in the Alliance of Colonial Era Tribes (ACET) has brought recognition, furthered understandings, and developed collaborations for the betterment of Delaware’s Indigenous population. Click for full bio. 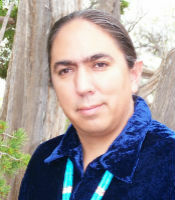 Ava Hamilton (Arapaho) is an independent documentary film maker and historian. She is one of four coordinators of Right Relationship Boulder, an organization that grew out of Boulder Meeting’s Toward Right Relationship with Native Peoples project. Ava grew up on the Wind River reservation in Wyoming. She is president of the national non-profit organization, Native American Producers Alliance. As a historian, Ava serves as a consultant to other independent film makers and many civic organizations, including the Museum of Boulder. She writes and lectures frequently on Indigenous peoples’ history, environmental issues, and environmental activism. Her current research relates traditional indigenous knowledge to the science of phenology. She hopes that her work contributes to the intergenerational transference of traditional indigenous knowledge, which was interrupted by colonization and the forced assimilation of Native children by means of the Indian boarding schools. 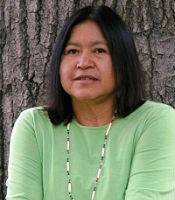 Denise Lajimodiere is an enrolled Citizen of the Turtle Mountain Band of Ojibwe, Belcourt, North Dakota. She has been involved in education for 44 years as an elementary school teacher and principal, earning her Bachelor’s, Master’s, and Doctorate degrees from University of North Dakota. Dr. Lajimodiere currently works as an Associate Professor in the Educational Leadership program at North Dakota State University, Fargo. She is one of the original founders and past president of the National Native American Board School Healing Coalition (N-NABS-HC), which she continues to serve as a board member. 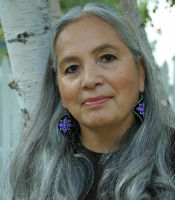 Denise is also a traditional Jingle Dress dancer; poet (Dragonfly Dance, Michigan State University Press; Bitter Tears, Mammoth Press; Thunderbird, NDSU Press); and a traditional Ojibwe Birch Bark Biting artist. Her academic book, Stringing Rosaries, NDSU Press, about Native American Boarding Schools and their legacy, will be published in the fall of 2018. Her website is https://www.ndsu.edu/pubweb/morningstar/index.html. Paula Palmer is a sociologist, writer, and activist for human rights, social justice, and environmental protection. 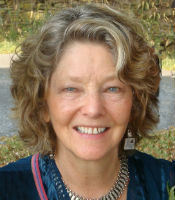 As director of Toward Right Relationship with Native Peoples, a project of the Boulder Friends Meeting (Quakers), she created and facilitates workshops titled, “Roots of Injustice, Seeds of Change: Toward Right Relationship with America’s Native Peoples” (for adults) and “Re-Discovering America: Understanding Colonization” (for middle schools and high schools). As the 2016 Pendle Hill Cadbury Scholar, she conducted research and produced articles and videos about the role Quakers played during the era of the Indian Boarding Schools. For more information about her Toward Right Relationship ministry, please see www.boulderfriendsmeeting.org/ipc-right-relationship. For 17 years, as executive director of the non-profit organization, Global Response, Paula directed over 70 international campaigns to help Indigenous peoples and local communities defend their rights and prevent environmental destruction. Click for full bio. Arla Patch is a teaching artist, author, social justice activist, and new grandmother. She grew up in Bucks County, a member of Doylestown Meeting. After 30 years in Maine, she returned to Bucks County in 2015 and now lives in Quakertown. While in Maine, she became involved in the Maine Wabanaki-State Child Welfare Truth and Reconciliation Commission, the first effort in the country to address what happened to Native children in the child welfare system. As Community Engagement Coordinator for Maine Wabanaki REACH, she helped create opportunities for educating the non-Native Maine population about the need for the truth commission. Since returning to this area, Arla has partnered with the Kidsbridge Tolerance Center in New Jersey to create this evening’s educational program through a New Jersey Council for the Humanities grant. It was developed in concert with tribal leaders from New Jersey. The Rev. Pastor J.R. Norwood, of the Nanticoke Lenni-Lenape, was her primary consultant. You may learn more about Arla on her website: http://arlapatch.com/. Travel directions to Pendle Hill. Click to view the flyer. For more information, contact mayconference@pendlehill.org.